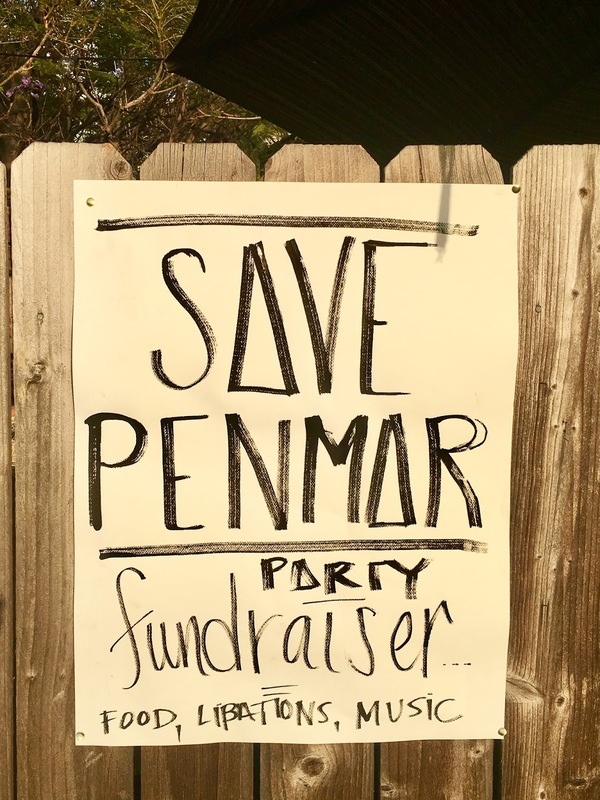 Blogtown: A Community Fundraiser To Save Penmar! 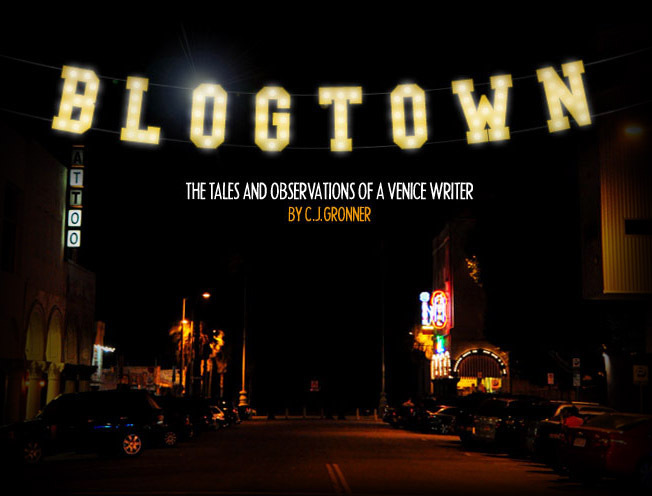 There have been too many good times to count at the corner of Penmar and Palms over the years. 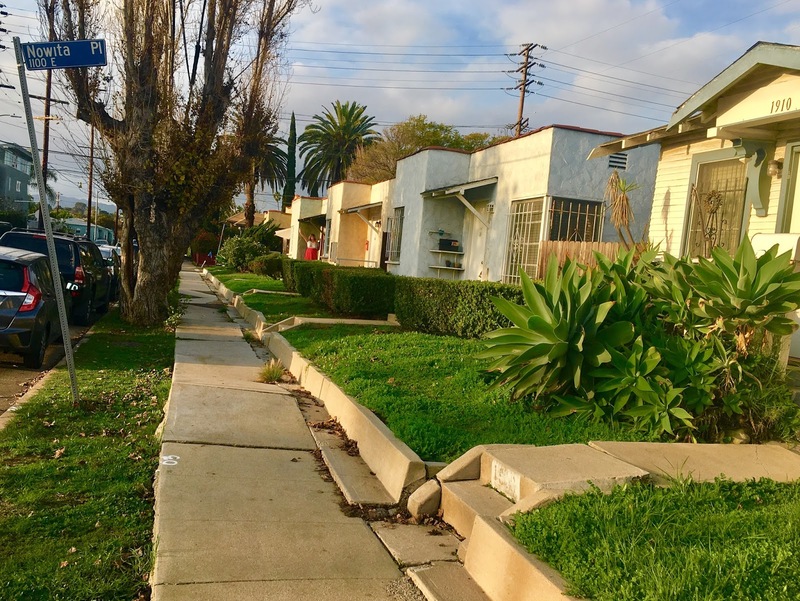 The little row of bungalows have hosted countless parties and gatherings of friends, and have been a headquarters for the community for years. As Gentrification continues to rear its ugly head here in Venice, now the Penmar bungalows are in jeopardy. The property has been purchased by an overseas investment group who intend to build more big, ugly, boxes (BUBS), and who could care less about the community. 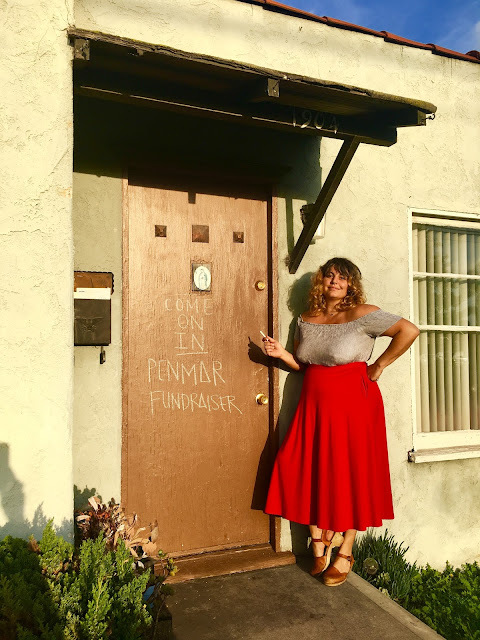 So that Community came together on Sunday to have a fundraiser to help pay for legal fees as the residents prepare to do battle with the Man. Some may feel that it's just too bad, someone bought the property, live with it. But enough of that. If no one ever stands up to anything, the bad guys win. 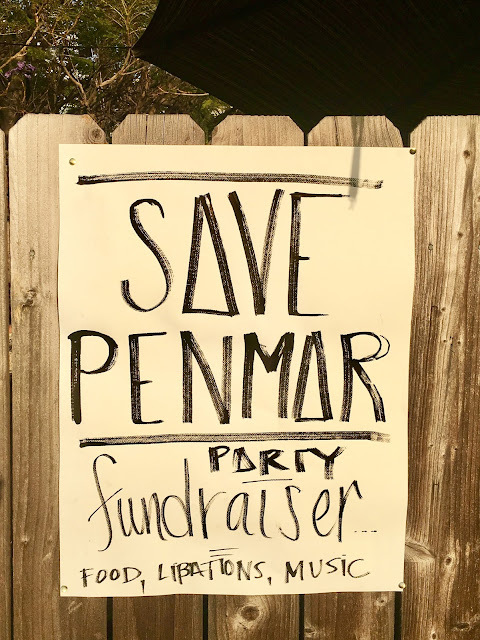 Penmar residents and their neighbors are standing up, speaking out, and it's a wonderful thing to behold. Friends and neighbors gathered in the golden hour, and enjoyed a fried chicken spread donated by Hatchet Hall. Several different friends have lived in these bungalows, passing one on to the next friend when they moved, so there were plenty of stories being swapped about the good times had there over the years. 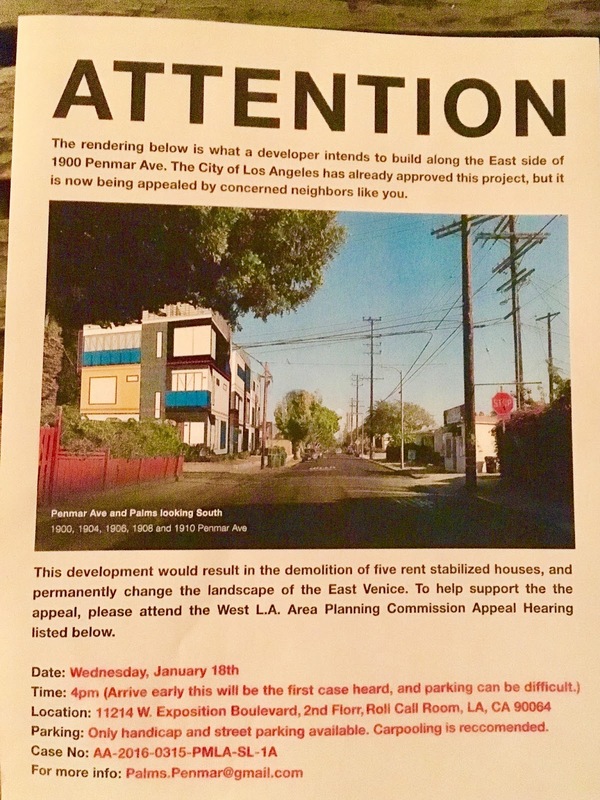 It was touching to see many residents of the surrounding neighborhood show up in support even though it's not their exact battle ... as one woman spoke and pointed out, "It's here now, but it will happen there." 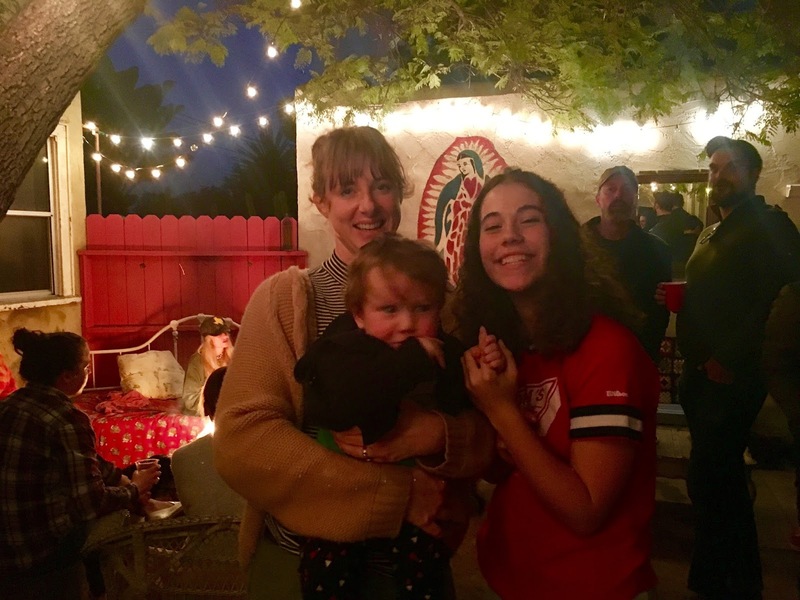 People are the fabric of our community, and if all our housing is unaffordable (and ugly with no sense of place or history) and owned by companies that don't even live here, it erodes the character of the neighborhood. And no one wants that. Entertainment was provided by current resident Lacey Kay Cowden, who regaled us with her beautiful tunes as the stars began twinkling overhead. It was beautiful, enhanced by the knowledge that we were all together in solidarity for a meaningful purpose. 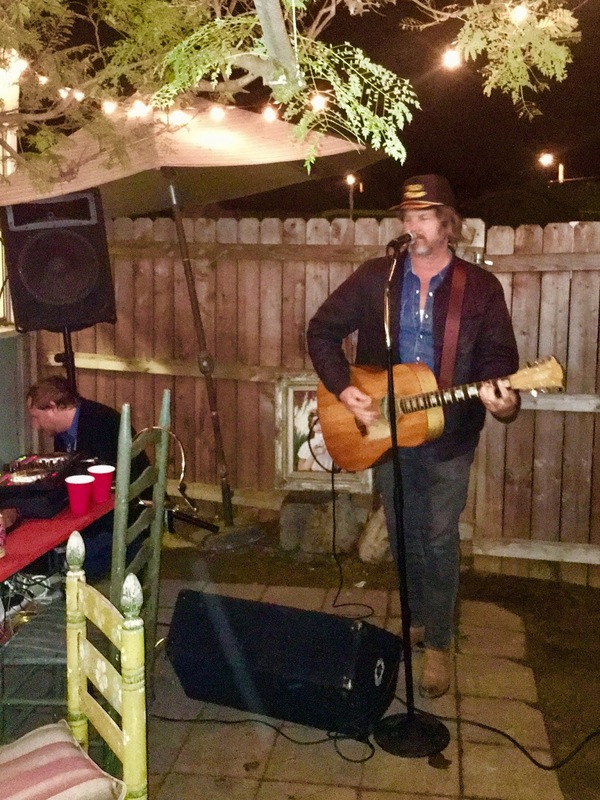 Former residents Matt Ellis and Vavine Tahapehi shared their songs in the backyard that they transformed into a lovely gathering spot for our family of friends, and it all felt timeless - just as it should. Might as well be resident Paul Chesne brought it home with his custom brand of rock and roll, frequent visitor Paddy Wilkins (DJ Bright Moments) kept the party going with his spinning, and it was greatly enjoyed by all assembled, from oldsters I'd never met before, to our brand new friends that are looking forward to growing up in the uniquely wonderful Venice that we were there to protect. This is a time of mass protest in America. Now, more than ever, it is crucial that the PEOPLE band together to accomplish that things that make life in American - and Venice - worth living. This hearing is a wonderful warm-up for the week (year, four years ...) of demonstrating that is about to go down. Please consider joining everyone in making your voice heard.